On Valentine's Day, I went to a live concert at "Nogakudo Hall" in Nara Park. 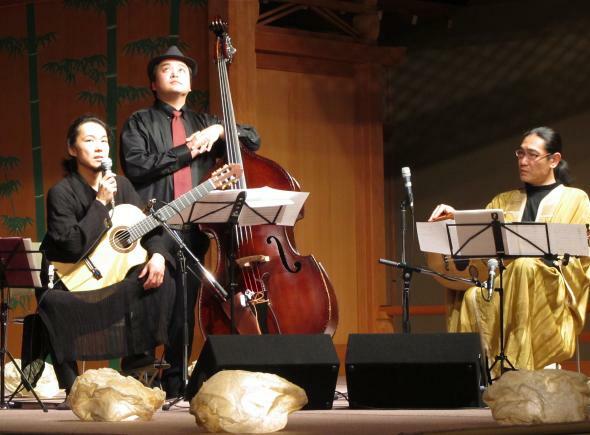 The sound of the trio (the oud player, Yuji Tsunemi, the guitarist, Yasuyoshi Ogino, the wood base player, Tatsuya Fujimura) produced was sensitive and intriguing... took my breath away. Copyright © かたちにする... Mind & Body All Rights Reserved.